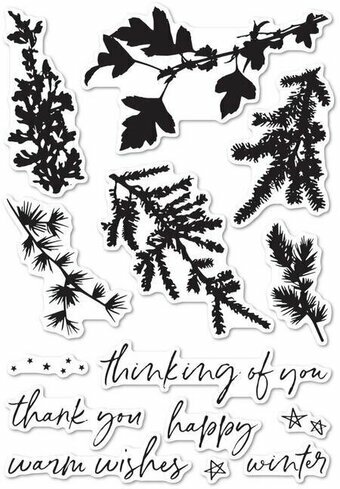 Clear stamps from Memory Box featuring flowers, leaves, "Just For You", "Thank You Kindly", "Birthday Wishes", and "Enjoy The Little Things". 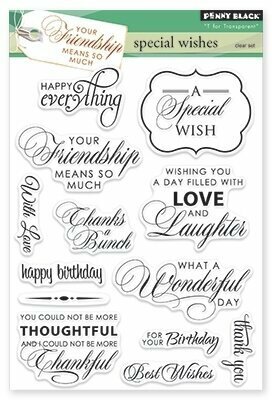 4 x 6 inches clear stamp set. 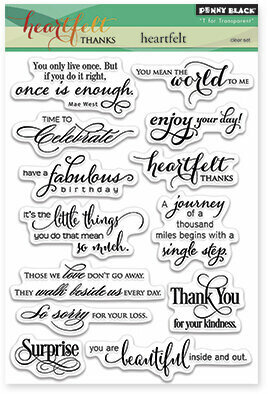 24 clear stamps included. Cling Stamp from Impression Obsession featuring the French sentiment "Merci Beaucoup". 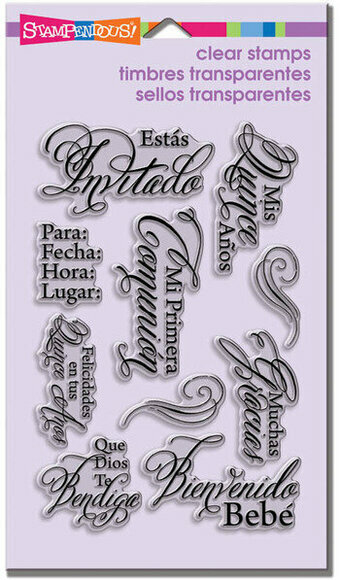 Share invitaciones con todos sus amigos with this fantastically decorative set of Spanish Messages. 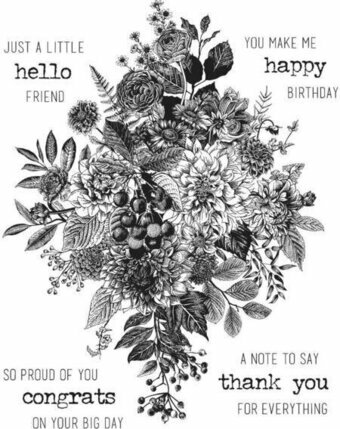 Includes "Estas Invitado", "Mis Quince Anos", "Mi Primera Comunion", "Para, Fecha, Hora, Lugar", "Muchas Gracias", and "Bienvenido Bebe".